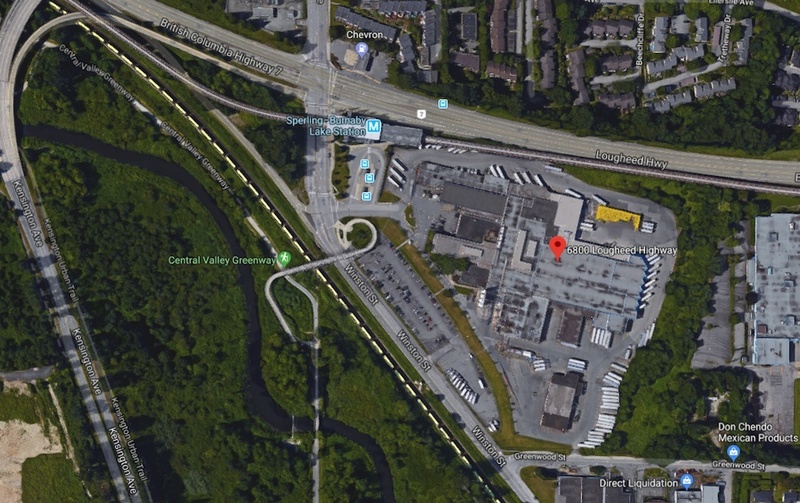 The massive Saputo milk plant next to the Millennium Line’s Sperling-Burnaby Lake Station was recently sold for a staggering $209 million, according to new data released by BC Assessment. Constructed in 1963, the 19-acre plant, formerly owned by Dairyland, is located at 6800 Lougheed Highway — the southwest corner of the intersection of Lougheed Highway and Sperling Avenue. The value of the deal is likely linked to the site’s immense redevelopment potential into a new mixed-use, residential-oriented area, and this is also reflected by the property’s exponential increase in assessed value in recent years. BC Assessment provided the property with an assessed value of $26.3 million in 2015, and it has since increased to $197.2 million based on the 2019 roll — a 323% increase from 2018’s assessed value of $46.6 million. Saputo’s local operations will remain at the site until 2021, when a new replacement $240-million facility at 1889 Kingsway Avenue in Port Coquitlam is completed. The identity of the buyer is unclear at this time. 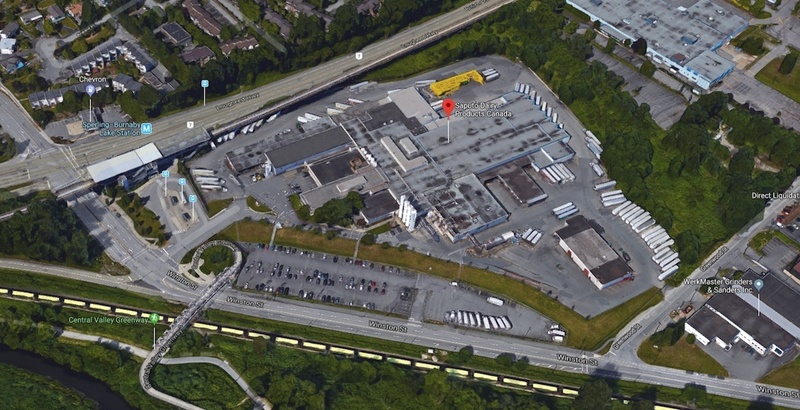 The Saputo sale has had a ripple effect on the assessed value of other Burnaby industrial properties located next to SkyTrain stations. For instance, the eight-acre Costco Warehouse property saw its assessed value rise by nearly 200% in a single year — from $28.9 million in 2018 to $84.3 million in 2019. In 2011, Safeway also sold its 48-acre Burnaby distribution centre and dairy plant near Edmonds Station, and relocated its operations to a new facility in Langley. The property, now known as Southgate City, is now primed to become a major 51-acre mixed-use redevelopment with up to 20 towers reaching as high as 46 storeys, with housing for about 20,000 people. The City of Burnaby has been Metro Vancouver’s leader when it comes to creating the conditions that allow for large mixed-use, transit-oriented developments around SkyTrain stations. This, of course, includes the major redevelopments planned or already built around Brentwood Station, Gilmore Station, Lougheed Town Centre Station, and Metrotown Station.